In the past few months I have been asked a handful of times, “but does it really work?” No matter how many digital marketing strategies I consult on, that question will always surprise me. Of course my answer is yes, and naturally I begin a passionate, and probably long winded, response. I explain that I’ve seen it work time and time again, but sometimes I get an impression that people think I “have to” respond this way because I work in the industry, or that I get passionate because I’ve drank the digital marketing kool-aid. My goal with this article is to literally be able to say, “don’t take my word for it.” The following is digital marketing advice from real people who have seen real results. Some are short and compact. Some are a little longer. 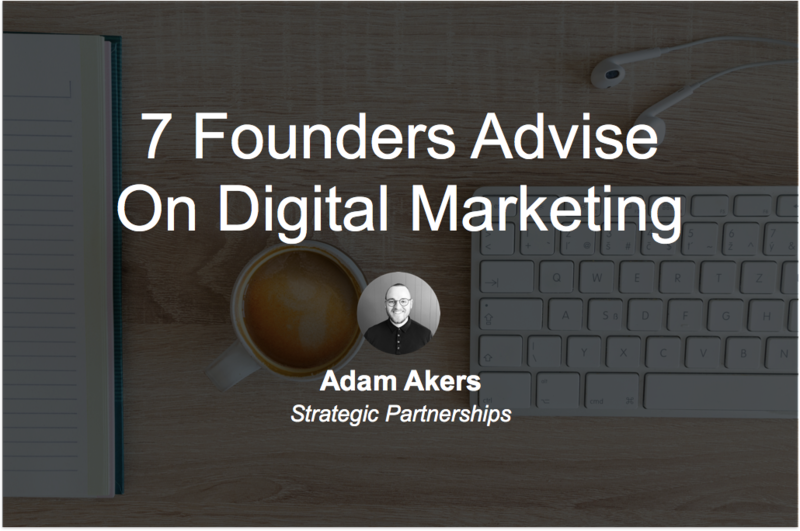 Maybe you will pick up on some trends in the advice, and discover how you can better implement digital marketing. Research and testing is all part of finding your digital marketing sweet spot. As a starting point, emulate influencers in your space who are killing it with their digital marketing. Pursue similar avenues, then test what works and what doesn’t. I spend an average of two hours a day actively engaging in social media through popular networks such as Facebook, Google+, Twitter and LinkedIn. To Engage – interacting directly with patients, friends and colleagues on topics related to dentistry and oral health. To Promote – marketing my dental skills, services and events to existing and potential patients. To Consult – discussing clinical dental cases and oral healthcare with colleagues and patients. To Teach – sharing knowledge, news and information about dentistry, oral health and dental technology. To Learn – reading, questioning and discussing content shared by others, especially on topics related to dentistry and oral health. Social media is not only about posting content. It’s about making connections and building a meaningful network of friends, colleagues and acquaintances. While it can be used for marketing purposes, most people don’t respond well to a pure sales approach. Knowing exactly where, when, and what to share can be difficult. It takes a certain amount of experience and social awareness to successfully engage in social media. Some posts get a surprising amount of positive feedback, while others receive virtually no feedback. Successful social media engagement is really about building and nurturing online relationships. It’s about paying attention to others by reading, sharing and commenting on what they post.When we show appreciation for others on social media, they will often reciprocate. After all, isn’t that what being social is all about? Learn SEO the right way. Do your homework and do not guess which words or topics may potentially rank. Look for long-tail keywords and phrases that are not too challenging to rank for in SERPs. However, be sure to stay within in your niche. Do not write to feed the SERPs, publish high-value and authentic content, and follow Google updates and algorithms. Be aware that SEO is a flowing and ongoing process. Publish new articles at least once a week and check your data at the same time. Each time you publish a new piece, upload it through Google Webmaster tools. If you don’t have a chance to learn SEO on your own, be very careful when choosing a company; there are a lot of predators out there. If anyone says they can get you or your company on page one of Google immediately (or for certain), run fast. There are no guarantees. For social media, engage with your audience as much as possible. And lastly, digital marketing and growth takes time! Be patient! I think it is necessary to diversify one’s digital marketing investments. If SEO is doing well for you that’s great but do consider paid advertising and social media. Similarly, putting a face to your company brand by helping your company’s key persons of influence to build their own personal brand can be helpful. Just look at how Steve Jobs, Elon Musk, and Richard Branson are the faces of their companies. This helps these entrepreneurs take their brand equity no matter where they go and whichever new company they create. Of course it won’t be for everybody though. Another important thing is to take a long-term view and before implementing any new gimmick ask yourself if this will help create the right kind of brand visibility and digital reputation for your business and you. Don’t treat social media as just a “sales platform.” As users, we don’t go to social media to buy stuff. We go there for engagement, information, entertainment and education. I understand that, as business owners, we want sales from social media. But don’t forget what your potential customers are doing on these channels. Step1 (Attract) – You attract the RIGHT type of audience. Step2 (Build) – You build amazing relationships with your followers. Step3 (Convert) – You convert engaged followers into leads and prospects. Also, keep in mind that your engaged fans will convert much better and at a lower Cost Per Lead (CPL). Don’t think of digital marketing as something that’s complicated. The reason why so many theories and case studies are being thrown around is because digital marketing is experimental in nature, but no one really emphasises it enough. At the end of the day, the process is simple. Find where your audience are, create content that “speaks” to them, grow your list, and eventually build trust over time. Then, you can sell almost anything. To answer the question again, YES it really does work. You don’t have to take my word for it anymore.